Graeme Shinnie is urging referees to stand strong as scrutiny intensifies on them ahead of Aberdeen’s clash with Rangers. Despite the captain not being shy of bookings over the course of his career, he admits their role could not be easy. Shinnie said: “It’s a tough job being a ref. I give them as much stick as anyone else on the pitch but they’ve got a really tough job and do well with what they have. I’ll try my best not to give them a decision to make. “I moan at them on the pitch but that’s just because I want to win and I’m competitive. I’ve not been booked as much this season so I’m actually in favour with them. Games like tonight and the atmosphere that comes with it will make it an even tougher job. It’s important that they stand strong. “If you’re in a team and not doing well then criticism will come. If we were falling down the league and not playing well then there’s going to be criticism, so there’s always going to be that if there’s some wrong decisions. It’s tough on them but they need to stand strong and do their job to the best that they can. 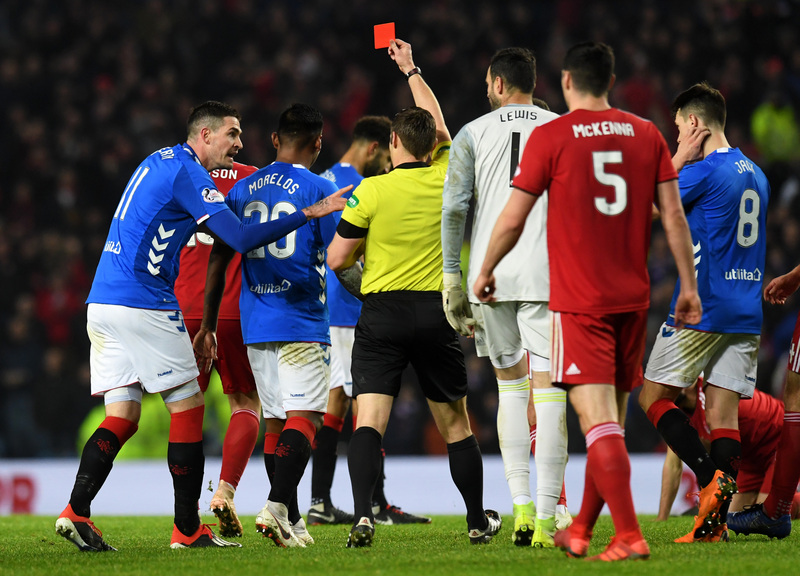 Alfredo Morelos was sent off against Aberdeen at Ibrox. Referee Andrew Dallas awarded Rangers four penalties in Saturday’s 4-0 win over St Mirren, with three of them appearing incorrect. Bobby Madden is the man in the middle tonight. Gers striker Alfredo Morelos has been sent off twice against the Dons this season – the second time for a clash with Shinnie at Ibrox – but he insists no-one will be targeting the Colombian again. 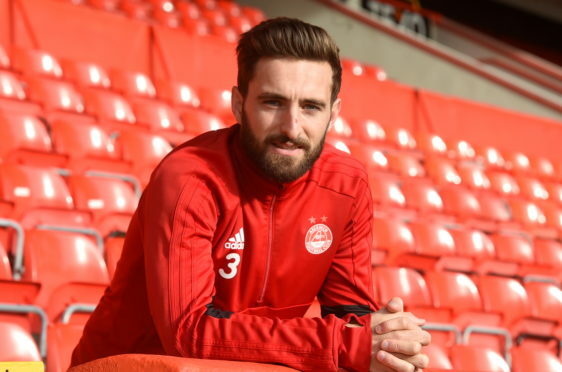 The 27-year-old is out of contract at the end of the season but there has still been no progression with tying him down to a long-term deal at Pittodrie.